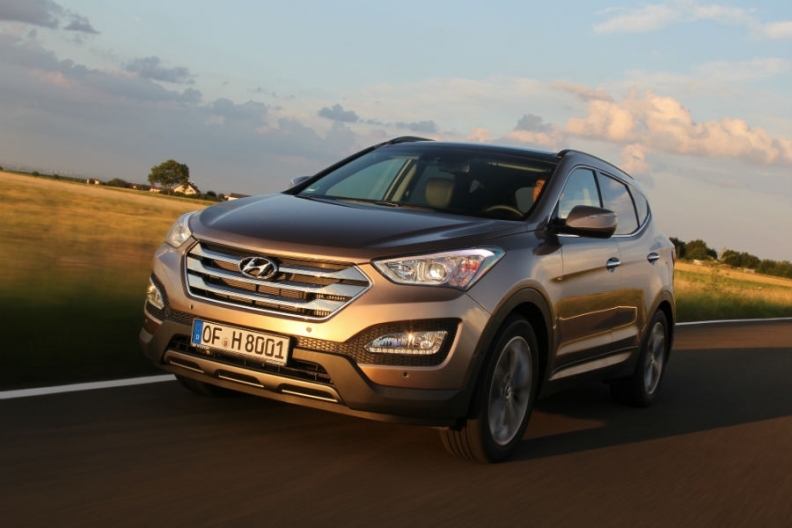 Hyundai and Kia's South Korean recall will affect 12 models, including the Hyundai Santa Fe SUV. SEOUL -- Hyundai Motor Co. and affiliate Kia Motors Corp. said on Friday they will recall 240,000 vehicles in South Korea after the government issued a compulsory recall order over safety defects first flagged by a whistleblower. The recall will affect 12 models, including the Elantra, Sonata, Santa Fe and Genesis. This is the first time ever that the transport ministry has ordered a compulsory recall of Hyundai and Kia vehicles. It is a blow to Hyundai, which is already reeling from a record-low market share in its home market. The ministry also asked prosecutors in Seoul to investigate whether the automakers allegedly covered up the five flaws found in the vehicles. The planned recalls will add to the 1.5 million vehicles that Hyundai and Kia last month offered to fix in South Korea and the United States over possible engine stalling - a defect which was also flagged by 26-year-old Hyundai engineer Kim Gwang-ho who last year had reported vehicle defects to the safety regulators in the two countries. The ministry later asked the automakers to recall the vehicles over eight of the 32 problems reported by Kim. But Hyundai and Kia earlier rejected calls for a voluntary recall related to five defects, saying the defects did not compromise driving safety.